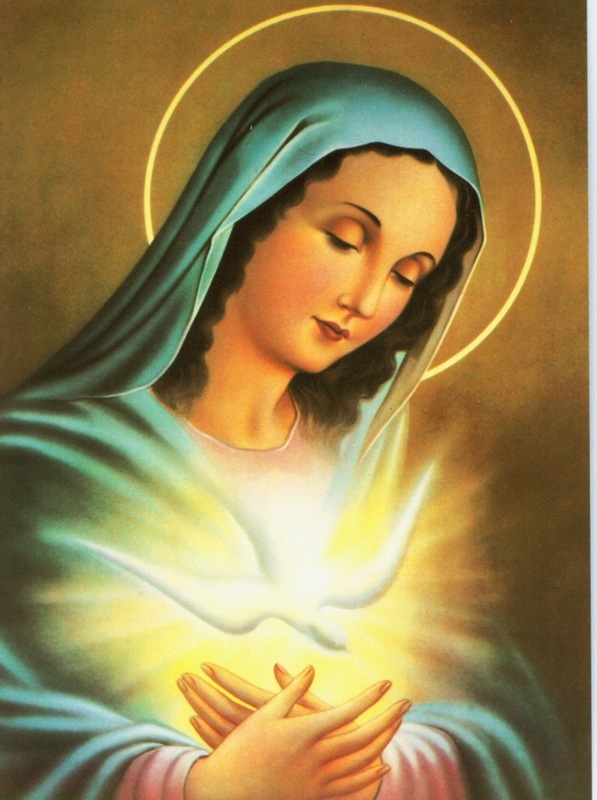 Our Blessed Mother Mary conceived by the power of the Holy Spirit, and became Theotokos, the Mother of God. 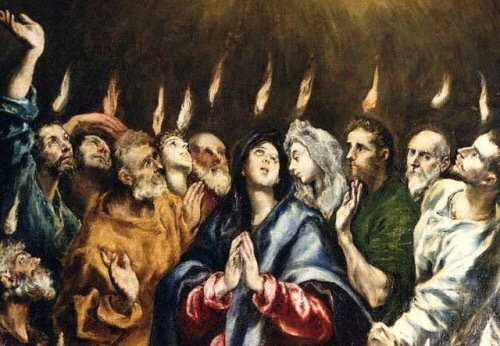 When, after the Lord Jesus Christ ascended into Heaven, and sent the Holy Spirit at Pentecost, Mary was there with the Apostles. 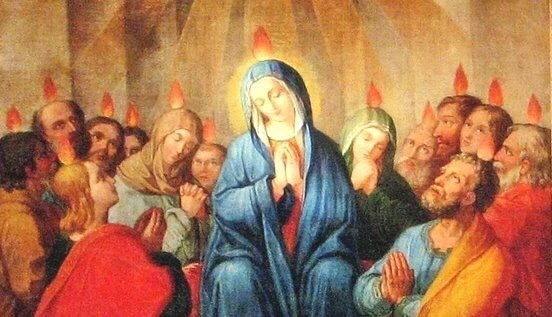 As the spouse of the Holy Spirit, Pentecost must have been a wonderful event for Mother Mary, an event which, perhaps, sealed her future as the spiritual mother of all of God’s children. Afterall, she did become the future mother of 3,000 on the first day alone. 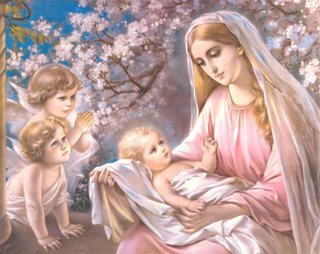 Indeed, Mother Mary is one with the Lord, Who is the source of all life. She and the Holy Spirit are the perfect union, for she magnifies the Lord as co-Source of our new Life in Christ. This is not a priestly function; it is above the priestly function. She is co-Advocate and co-Redeemer. She magnifies our Savior. In the Fall of 2008, I had a trance while sitting at table before the Crucifix in my dining room where I found myself in another place in Springtime playing joyfully with many other children, all of us around the age of 11 or 12. 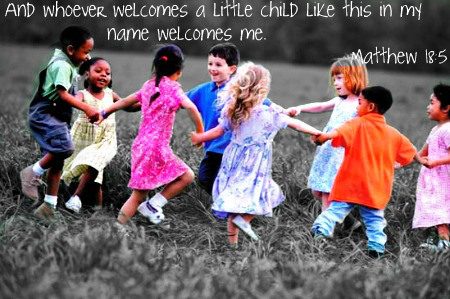 I was holding hands with a girl who had blue eyes and red hair who was pulling me toward the other children, and my heart and theirs were full of ecstatic joy, a joy which was without blemish or worry, one which was based on complete faith. We were all smiling and laughing ecstatically – so very happy – it did not matter why – we just were. I think this was Heaven, because it was a feeling which does not seem possible here, except for slight glimpses during early childhood perhaps. But, it was of God because the Source of this joy was infinite and we felt it to its fullest potential, such that there was no worry or concern, but only love truly in our hearts for each other, such that we desired nothing more, because nothing more could possibly be greater than what we have. 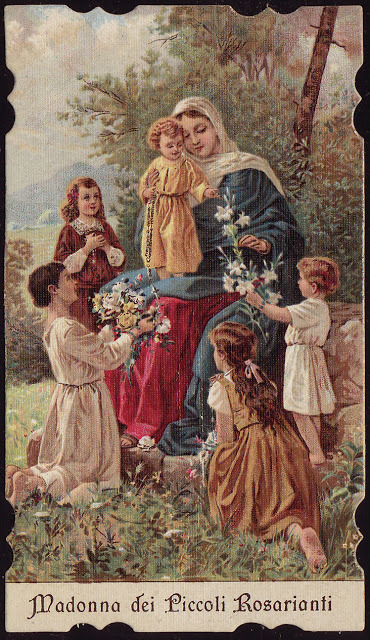 And our Mother Mary is there, and I have imagined her in my prayers before as a loving Mother watching over us, her children, as we play games at her feet, and she smiles and laughs with us, encouraging us with her Motherly kindness. How can this not be Heaven? Sister Tracey of the Daughters of St. Paul. Growing up, I found that my Godmother had such a powerful effect on me. She, a woman of faith, smiled at me and she listened to me, and that was the love that I needed. She was a good Godmother. Likewise, religious sisters like Sister Tracey and Sister Julia of the Daughters of St. Paul offer such wonderful kindness and care, loving and serving as the Lord loves and serves. 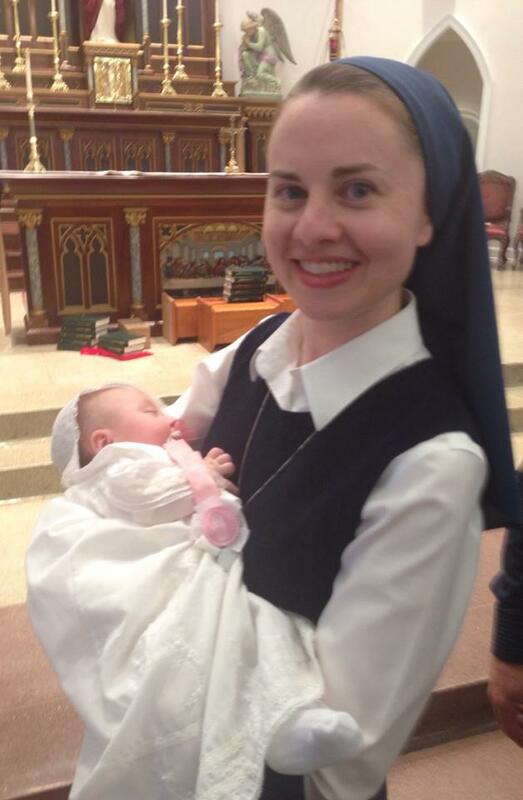 Who would not want such a Godmother? 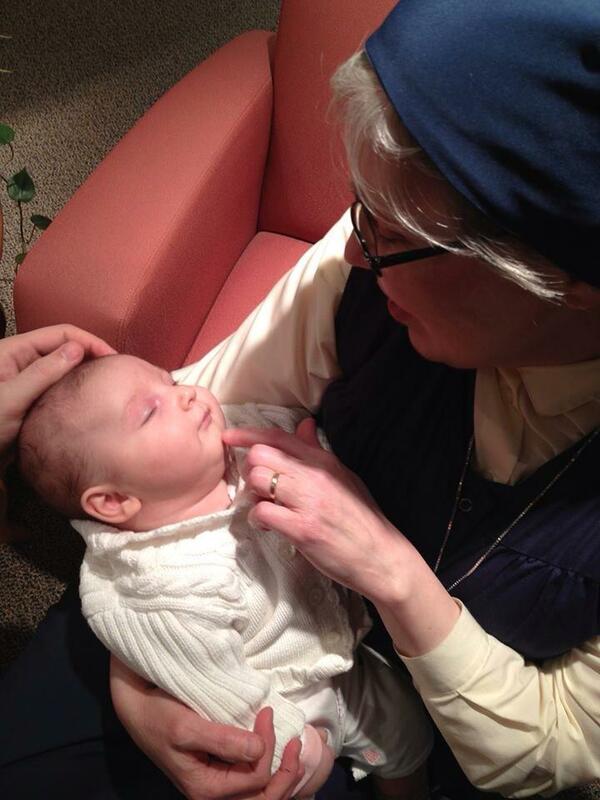 The little baby succumbs to Sister Julia’s tender care.